The pasta recipe I use is from Tide and Thyme. This recipe never fails me. 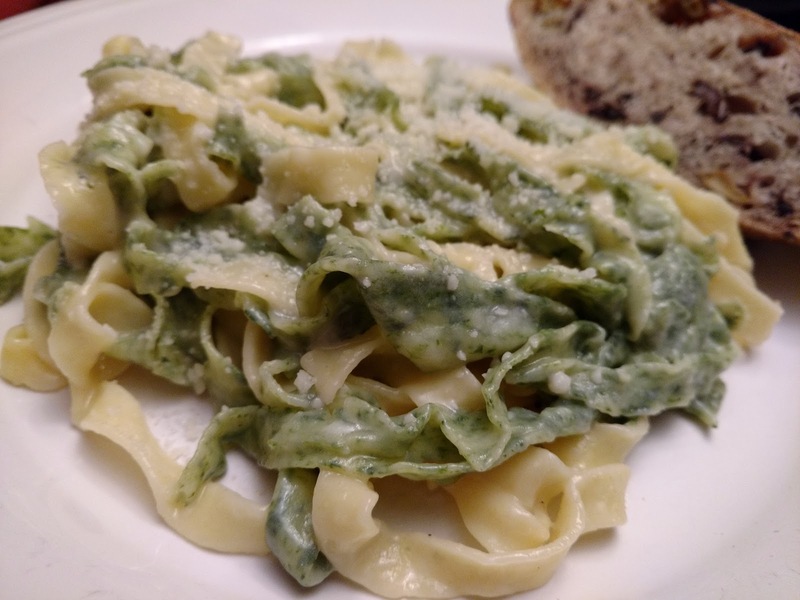 Today I split the recipe in 1/2 and made 1/2 egg pasta and the other half spinach pasta. 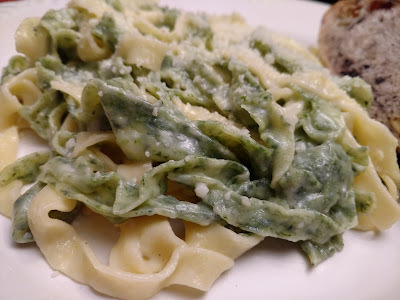 For the spinach pasta, I just microwaved 1/2 of a package of frozen chopped spinach. I squeezed out all of the water that I possibly could. I mixed the spinach in with the flour before adding the egg, olive oil, and water. Next time I might not add all the water to the spinach dough. I probably could have gotten a little more of the water out of the microwaved spinach. The Alfredo sauce is from Epicurious. Season with salt and pepper to taste, then sprinkle with remaining cheese. Dinner was delicious and light. 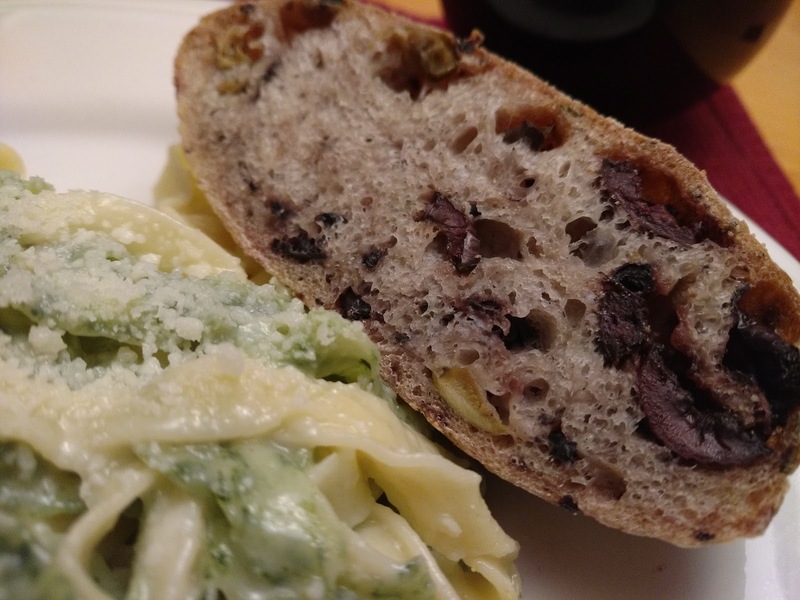 The bread was an olive and rosemary bread I made last weekend. I took it out of the freezer earlier today and heated it up for dinner.